Awakening is our contemporary worship service. 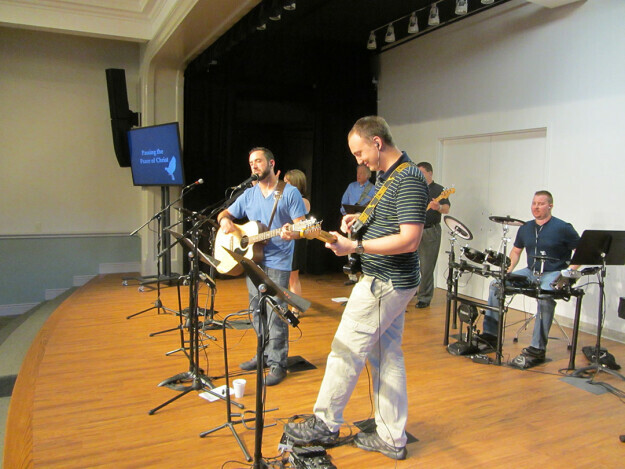 We meet in the Fellowship Hall and are led in worship by a live band. Dress for this service is more casual. The sermon often includes video elements, liturgical art and a time where the congregation is invited to participate in a dialogue with the pastor.